This morning we took the preschoolers to The Festival of the Trees to see all the trees and to find the one they made. 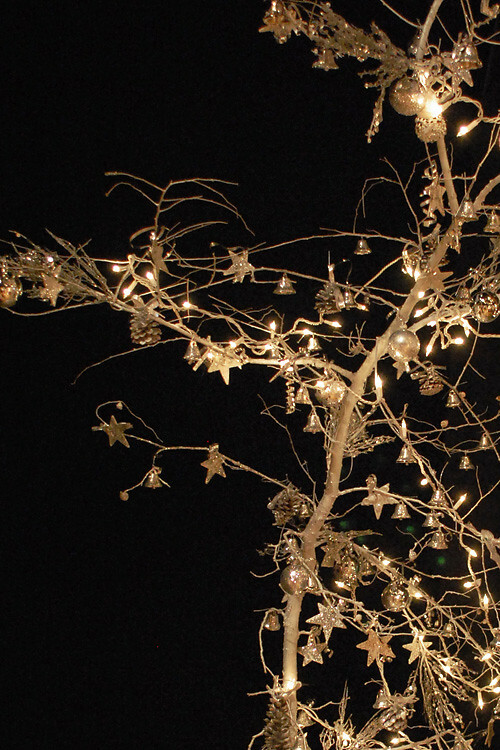 Each year many groups of people make, decorate and donate a tree to be auctioned as a benefit for The Shelter. To celebrate the 25th anniversary of our arts-based preschool program, our tree is very silvery and of course very glittery. Going there with the children and walking among the beautiful, creative and sometimes unusual trees always fills me with a bit of Christmas spirit. Last night I read the article A Yuletide Gift of Kindness in Smithsonian magazine. It seems appropriate on a day like today when our email inboxes are infiltrated with specials and deals. 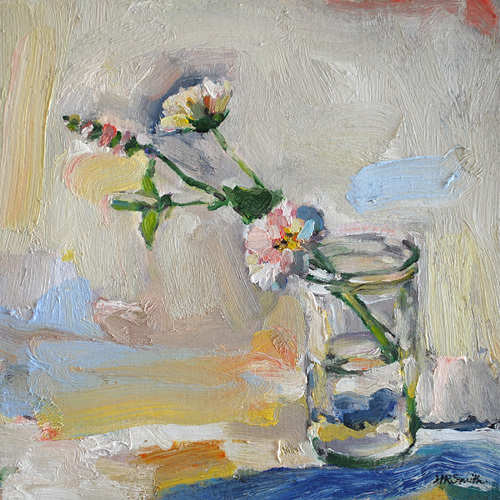 One, (jelly glass with cosmos), oil on canvas, framed 12 1/2 in. x 12 1/2 in. The painting above will also be part of the Newness Show opening at Artstream this weekend, Dec. 3&4. I am happy to have nine of my new works on canvas in the show and still have a few more to share with you here.